Blinx, myself and Wumbo in that order! Hard at work as always!! Clannies, we are getting closer to things like the summoning and crafting plots! 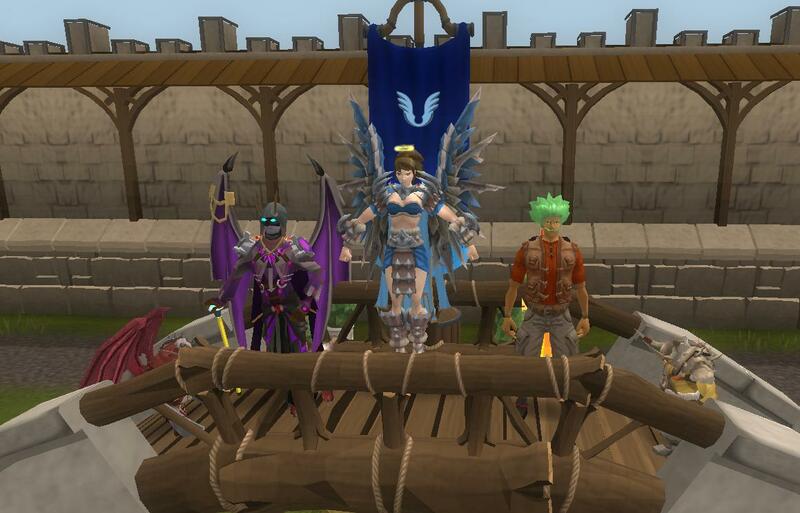 So far, our newest clannies have been diving into the citadel to help out, and is noticed and much appreciated! We need to encourage each other to keep up with capping, as in the coming weeks, our upgrade needs only get bigger and bigger. Remember, when the clan was new with 60 people, 50 of those average capped. We can get there again!